The 40" Aria Single Vanity contrasts its understated, clean style with a beautiful cabinet contour of the sink, deviating from the flat modern look while still maintaining a contemporary aesthetic. 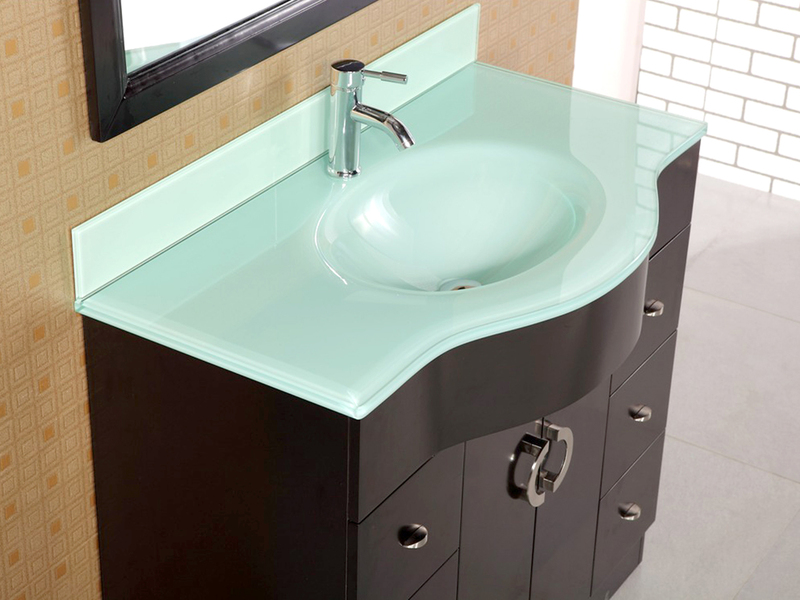 The gorgeous green glass counter is seamlessly integrated with the sink for a truly sleek look. 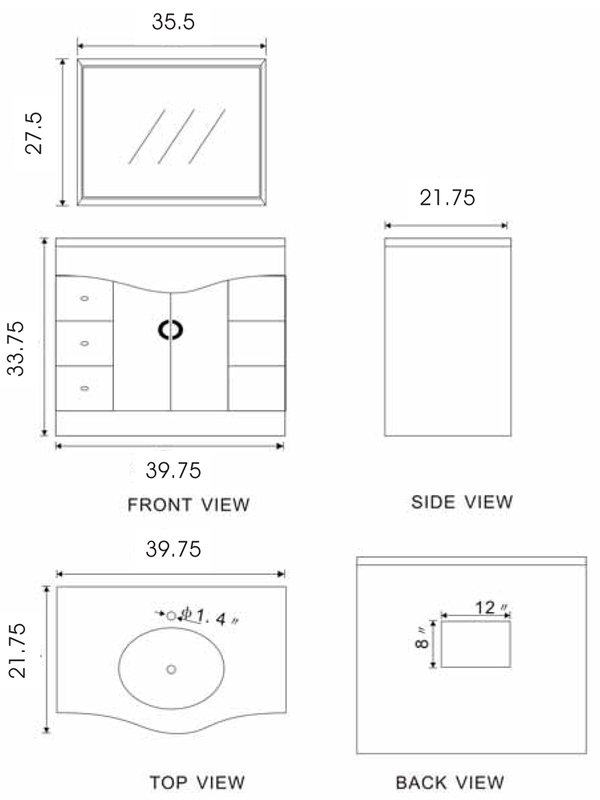 With six drawers and a double-door cabinet, you'll find a place to keep all of your bathroom accessories. 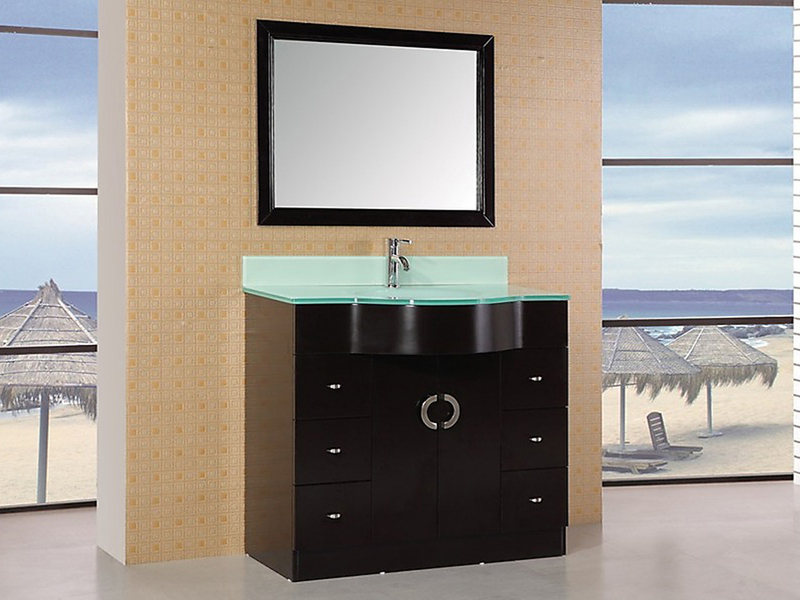 A handsomely framed matching mirror is also included with the vanity to complete your modern bathroom decor.